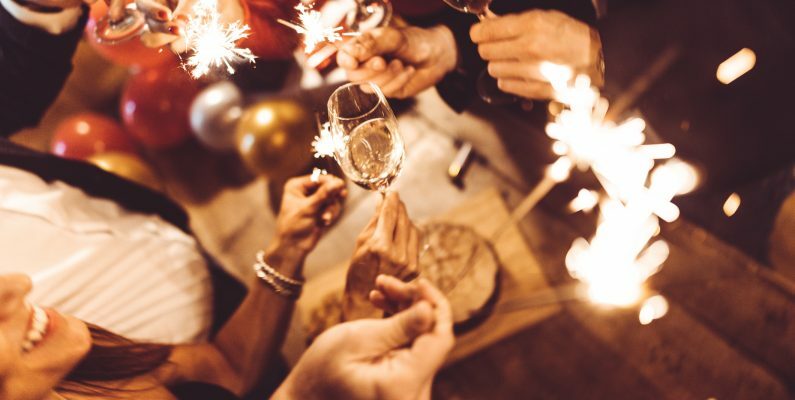 It’s almost 2018 and we’ve gathered up a few great parties close to your Baltimore apartment! 2017 is coming to an end and Baltimore is celebrating in style! 2Hopkins apartments in Baltimore are located right in the middle of the action, so residents have lots of options. A stone’s throw from Federal Hill, the Inner Harbor and Mount Vernon, there are New Year’s parties for all kinds! If you’re a low-key beer drinker and insist on seeing the best firework displays, Pratt Street Ale House (located a block from the Inner Harbor) is most definitely the place to be. Enjoy craft beers and more from a five-hour premium open bar and then head out onto the patio for midnight firework views. Enjoy the open bar until 2:00, then take a quick ride back home to your Baltimore apartment. Find more details and tickets here. If you’re in the mood to bar hop, check out the Charles Street Block Party in Federal Hill. This epic throwdown gets you entry to three different bars for the price of one ticket. Enjoy open bar and light fare from 9:30 to 1:00 at Banditos Bar & Kitchen, Wayward Smokehouse and the brand new 101 Deli Bar. The totally different vibes at each bar are perfect for the partier that likes variety. Better yet, Federal Hill is not far from your 2Hopkins apartment in Baltimore! If you like options, but want to turn it up a notch or two, then Power Plant Live! (conveniently located in the Inner Harbor) is definitely the place for your New Year’s Eve celebrations. One ticket gets you exclusive access to 10 bars and nightclubs, and an all-inclusive gourmet buffet and drink package. Enjoy a variety of food at each bar, including a Mexican fajita bar at Mex and a pasta bar at Luckie’s! The midnight celebration concludes with tons of confetti and an epic light show. Whether you’re looking for a more low-key experience or an all-out bash, there’s something for everyone. Better yet, all celebrations are right around the corner from your 2Hopkins apartment in Baltimore! What more could you ask for? Happy New Year from all of us at 2Hopkins! We hope you start off 2018 by resolving to stop in for a tour!